It’s summer in many parts of the world already, which means lots of refreshing drinks! Most of these drinks come with straws in them, and tossing them away after use does seem like a waste, especially when there are so many fun things you can make with them! Yes, even old drinking straws can be put to good use and you won’t believe the unique creations you can make with them! Get a bunch of colored straws to make this beautiful starburst ornament from Aunt Peaches. All you need is a pair of scissors and zip ties to make several multicolored starbursts. Prepare for your guests to be impressed! Sometimes you just want a simple craft to keep your boys occupied for hours, and these straw rockets from The Pleasantest Thing are perfect! These rockets are great for spinning, throwing and just having fun in general. If you have a bunch of bendy straws, then you’re all set to make this straw necklace from the Crafty Sisters! With triangle links, this necklace is great for your little girl to wear to an outdoor summer party with her friends! Did you know that you can create lovely art from drinking straws? This fireworks craft from Crafty Morning is perfect for the Fourth of July, and with different color combinations, you can use it for any season! Straws aren’t just for summer coolers or fun crafts, you can also use them for science! Babble Dabble Do has a full tutorial on how to build a Geodesic dome. It’s a little challenging and involves math, making it perfect for older kids to work on during the summer! Stripey straws are commonly available and you can put them to good use in this fun striped photo frame craft! The Making Lemonade Blog shows how you can mix two colors of striped straws to create a pretty impressive frame! You’ve probably had fun blowing through straws as a kid, but how about blowing through a row of straws, cut to size? Yes, that’s right, you can make a fun set of straw pan pipes as shown in Naturally Educational and make some cool music!! It’s spring time, which means it’s time to make stuff with flowers and baby animals and stuff. 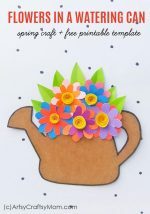 Amy Krist has the perfect spring craft with paper straws, creating a stunning spring flower vase that’ll make you want to make one right away! We’ve already talked about a straw necklace, but this Hawaiian Lei from The Crafting Chicks is too cute to leave out! It’s also a great motor skill activity for the little ones and perfect to wear this season! 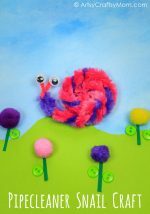 Straws and pipe cleaners come together for this cute craft at Frugal Fun 4 Boys – Ninjas!! You can make so many differently colored ninjas that can actually move – giving you loads of play value! You know that you can make necklaces from straws, but did you know that you can actually make beads from straws too? Yes, you can, as shown in Moms and Crafters! Now you can make all kinds of jewellery, in all kinds of colors! These butterflies from Krokotak are so cute, they hardly look like they’ve been made from recycled materials! 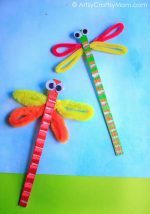 Pipe cleaners, cut up drinking straws and a clothes peg are put together to make colorful butterflies, perfect for spring! It’s almost summer, and you’ll soon be plagued by chants of ‘I’m bored!’. 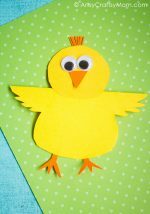 Here’s a cool solution from Kids Activities Blog – a toy kids can make and play with too! A cereal box works perfectly for this, and you can create mazes of any complexity! It’s time for some French Chic! Cutting Tiny Bites has a cute little craft of the Eiffel Tower that’s really easy even for preschoolers. Try making all the major landmarks of the world for a lovely little collection! If you’ve got a party coming up, you can’t find a cuter way to display your place cards than this! The Chic Site gives a detailed tutorial on using paper straws to make adorable little easels, ideal for place cards. Perfect for an art-themed party! So now you know what to do when you’ve got loads of drinking straws left over! 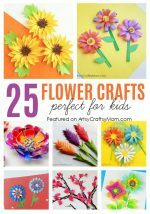 There’s an assortment of activities here for girls and boys, and we’re pretty sure even the Moms and Dads can’t resist trying out one or more of these fun crafts!